Does the way you think affect the way you feel? Perhaps thinking about the future makes you anxious. Or thoughts about the past make you depressed. Or your harsh inner critic makes you feel bad about yourself. But it doesn’t have to be like that! Announcing Life Skills, a new programme to help you challenge unhelpful thinking and behaviour and make positive changes in your life. Life Skills is a programme of six 90-minute psychoeducational classes held at locations in Ashford, Tonbridge, Tunbridge Wells and Sevenoaks. 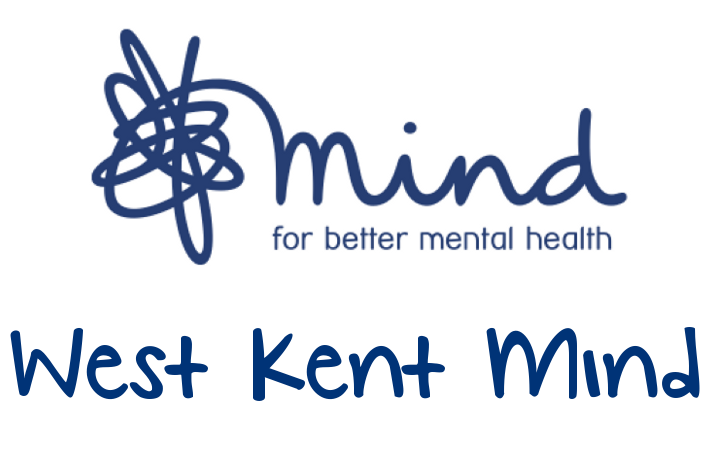 Money Works is a new money management programme in Ashford from Live Well Kent and West Kent Mind. It’s for anyone who needs help managing their money. This will be tailored to the individual persons’ needs for things like debt advice, rent arrears, understanding your bills and bank statements, help with benefit applications/universal credits or any other money related problem. The programme offers a weekly drop-in clinic, 1:1 appointments and monthly workshops on specific topics identified by people attending the service which will be delivered by trained experts. I work with clients whom have suffered bereavement and loss. I work as a humanistic counsellor and help clients to face their traumas and help them to find some acceptance and peace around their loss. I also encourage my clients to Believe in Themselves and develop self awareness around their patterns that they have picked up in life from early childhood. This helps to create change and acceptance in themselves and empowers them in moving forward in their lives to live a healthier lifestyle. Sessions run from 10.00am to 12.00pm on a Wednesday. A 12-week course that works on lessening isolation, building confidence, learning life skills and forming new relationships. This is done by group activities, group discussions, time to reflect, noticing the simple things that the wood has to offer, learn simple meditation and mindfulness skills. They will help empower the attendees to make their own choices, based on what is present rather than their pasts. Sessions run from 10.30am to 12.30pm on a Thursday. The March Wood Women’s Shed will focus on crafts made using natural materials found within our woodland as well as using the environment to inspire crafts from other mediums such as painting, sculpture and clay. Women can learn skills such as whittling using bushcraft knives, axes and billhooks as well as more traditional tools such as woodcarving chisels, planes, and drawknives. It is hoped also that we will use further traditional tools such as pole lathe, shave horse and saw horse to learn even more skills (dependant on funding for equipment). Items that can be made can include spoons, bowls, bat and bird boxes, planters to name a few. Sessions run from 2.30pm to 4.30pm on a Monday. Woodland Bush Craft project designed around improving confidence, emotional stability and encouraging clients to work as a team learning skills such as natural fire lighting, use of woodland tools, shelter building and archery. This 8-weekly Peer Support Art Group Project is an opportunity for you to start a journal about your journey of recovery to mental wellbeing. You are invited to be part of a group who will provide mutual support in a shared journey of recovery through the experience of making art together. You will be helped by an Art Therapist and a Peer Support Volunteer, both with lived experience of Mental Health Issues. The focus of the group will be on wellbeing through an introduction to using different art materials. You will be invited to express yourself through the art materials, with help and support from the Art Therapist and Peer Support Volunteer and will give you a record of your journey to take away and treasure if you want to. It will be an opportunity to connect with others and make friends. A talking group to support positive wellbeing. The group offers a safe space to talk and socialise with others experiencing the same condition. For more information please see Take Off’s calendar for December. We have two Creative Minds groups per week. They are friendly, welcoming groups offering the opportunity to make art and enjoy other’s company. The focus of the group changes every six weeks ranging from pottery to painting to printing and beyond! The focus of this group is anything to do with “Living Well”! In the past we have covered topics such as healthy eating, exercise, mindfulness, confidence and assertiveness. We have just started a series of sessions on playing different games to encourage the group to have fun and build relationships with each other. An important part of our group is social interaction and peer support, and the group enjoy chatting, sharing and supporting each other. The Umbrella Centre offers a variety of social activities across Ashford and Tenterden. This includes arts and crafts, singing, walking and other activities. 16 weekly sessions for those who want to try and be a little healthier. Stretching, Flexibility, Toning, Strength, Peaceful poses, Balance, Core Strength, Cardio, Momentum, Dynamic, Full body, Stamina. IAPTS delivers free psychological services to adults with symptoms of anxiety or depression who have been referred by their GP or other health professionals. 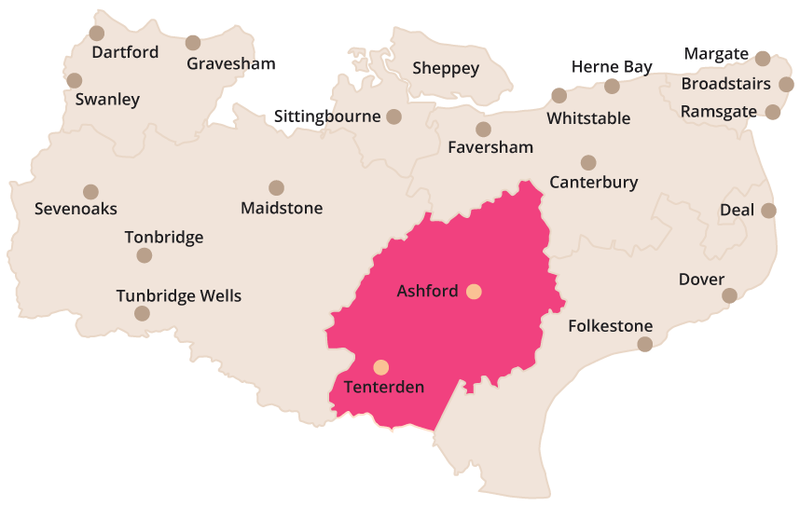 The Ashford CMHT provides services to adults of working age with moderate to severe mental health problems or needs. Service users are normally referred by their GP but they also accept referrals from other agencies and professionals. They offer a duty service during opening hours to give advice, guidance and support to those with mental health needs.